Social media sites lit up with photos showing proud gun owners cradling their weapons of choice on Christmas morning, ranging from handguns to massive assault-style rifles. 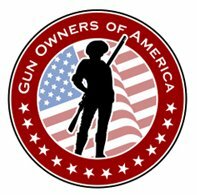 This entry was posted in 2nd Amendment, In the News, Right to carry and tagged 2A, 2nd Amendment, gun rights, home defense, open carry, Open carry in the United States, pro gun, Pro-Gun Rights, Right to carry, Right to keep and bear arms, Second Amendment to the United States Constitution. Bookmark the permalink.